2011 oh dear….. but for those expecting a crass, chronological end of year snear, please do not expect one here. For the term annus horribilis still lacks a dimension when one considers, the relegation, debt and absence of salvation and subsequent desolation felt by all within the Imps nation. Yes 2011 is best sent packing in a sentence, but not forgotten, for where it counted all were lacking and our supporters Trust did not even consult for our EGM backing, Let us instead look forward, for not without reason there is optimism for the rest of this season. David Holdsworth relishes ruling Impdom and is fully aware of the football clubs financial limitations and subsequent short-term symptoms. There is no money at the Sincil Bank at the moment so he must move out to move some in. Three of the top five earners have already paved the way, although enforced budgetary cuts will not leave him too much to manoeuvre with you have to say. Every manager, outside of the top six faces this, by far the hardest hidden part of most days at the office. Fortunately DH looks adept in this environment with 60 in and out at the Stags including the odd retirement. So, the right man, at the right time in the right role to get us the all-important goals to plug those holes and save our Sincil Souls. Let us hope so for if he fails, heaven help those summer season ticket sales. But he wont will he Imps because we see and share what he hopes and thinks that we are a big deal and he sells potential players a golden glimpse. He feels what we feel that we must aspire for our club deserves to be so much higher. So raise a glass to Lincoln City FC, 147 years young in 2011, still very much alive, so here’s to a 2012, that sees us survive and thrive. Safe celebrations over New Year fellow Imps make merry and stick with STMI for the rise of the Imps is nigh. Grimsby Town allegedly have defensive woes, ahead of the delicious derby double fancied by Hurst and Scott. Ermm…. on both counts we think not. Although centre-back Pearson will miss the game on the naught step, after picking up his 5th yellow of the seaon and L’Anson limped from the fray on Boxing Day; Darlington’s defensive lynch-pin Miller will play alongside goal scoring super-sub Scott Garner a veritable penalty-box piranha. As for a Mariners victory, not on Sheridan’s watch, for he and the 850 from Impdom believe the tide will turn neath the hoisted Lincoln flag and hyperbole. Without further ado here you go, our the weekly look at the form of the foe. David Holdsworth clearly has an eye for talent, returning to Colwyn Bay for Danny Lloyd-McGoldrick, the whirlwind wideboy from our 3-1 FA Trophy tie victory. Danny, who can play out wide or down the middle, was a constant threat in a ten-man team against us and also IMPressed DH’s scouts who positively purred over his hatrick against Droyleden this month. Danny has jumped at the chance to ply his trade on a bigger stage, agreeing terms until the end of the season at least. The former Southport youth spent last season on at Chorley and then Skelmersdale before Colwyn bay offered terms. Let us hope Danny will be spending time in the middle if not it could signal the end of either Conal Platt or Jake Sheridan’s career at the Imps. Who Is New Beast of The Bank Rob Williams? Lincoln City have just signed 6′ 5″ Rob Williams from AFC Telford on loan until the end of the current season. The 24 year old man-mountain has also ‘Shreked’ for Altrincham and The New Saints (TNS). Not since Janos Kovacs have we had a true giant of the Imps who would head back cannon-balls for the cause and grind mens bones to make their bread. With this lad on board if we hold onto Hinds we could have the best defence in the BSP this year and next. Although Rob is here until the end of the season, he see’s this as a big step up and will be working to cement a much longer term deal. Although Rob has yet to play this season after a transfer from Altrincham he is very much Mr dependable, missing 2 games in two seasons. Last season he notched up 45 BSP appearances, 5 yellows, two assists and a goal, whilst the season before saw 45 appearances, 2 yellows, one assist and 4 goals. Rob has also won three Wales under-23 semi-professional caps, scoring in March 2010 against Portugal on debut. Good luck Rob, enjoy the Lincolnshire derby on Sunday! 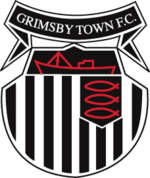 The Imps are set to take 800 plus to Grimsby Town on New years Day after brisk early trading saw the overnight figure (629) break through the 700 mark this morning. The Mariners have now sold out the Findus lower, suggesting some friendly close quarters banter. The Imps will be eager to repay the faithful after a somewhat undeserved defeat on Boxing Day, by two goals to one. Jake Sheridan, bless him was particularly bullish in yesterdays Echo, repeated on-line today here. They do say revenge is a dish best served cold Jake, so we had best wrap up warm on Sunday then. So hoist up the Lincoln flag and lets hear the red Imps sing. One drum, one voice, one passion! This paves the way for a busy January window for David Holdsworth, eager to boost a side held together by hope, youth and string, going into its second Lincolnshire derby in a week. David Holdsworth will add as many as 3-4 new faces to the side if everything works out. Leeds have offered us Will Hatfield and Sanchez on a youth loan (see Tuesday’s story here) and Leicester City have agreed to Leicester City no3 keeper Adam Smith also joining on loan. As for the other 1 or 2, that will depend on events unfolding with two other highly paid professionals on the verge of a move and a potential pay-off respectively. Two have already left and together with the Loach cut three favourites can now be retained. Thompson and Sheridan will now be offered deals until the end of the season at least and Conal the Conjurer is set for a longer term deal. Lincoln City Banter – Your New Years Resolution. Facebook fans forum Lincoln City Banter is the fastest growing voice for fans of Lincoln City Football Club. We are living in the social media age fellow Imps, where real people with real views can not only join up the dots but inspire change both quickly and where it is needed most, in a focused group that is never far from reach. So make Lincoln City your lost cause in 2012 and Lincoln City Banter your ‘wired’ and mobile destination to reconnect with them. You are LCFC’s lifeblood, the real fans, with real opinions, who are brave enough to put their own names to their views. If you care enough to want change for the better then the Imps need you. Through the turnstiles, the thick and the thin and perhaps even to save our mighty Imps if need be. Lincoln City Banter is the group to come to and as the name suggests have Banter with like-minded fans and air your views on what is happening down at the Bank. The group provides up to date information from Sincil Bank and of course it would not be a banter group without the odd rumor and gossip. Lincoln City Banter is also a proud sponsor of club Captain Josh Gowling home shirt Jamie Taylor’s away shirt and Ali Fuseini boots for 2011/2012 season. Lincoln City Banter are also looking towards supporting the club in a share savers scheme which will be announced once all the administration has been put in place. So watch this space and start saving now and help us invest in our club. 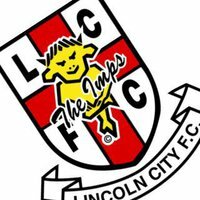 Lincoln City Banter also provide a match day thread for all those Imps not able to make the games, to enjoy or despair together with live updates from fellow Imps attending the games. You can also post you pictures for us all to see, new old and live helping those that are not there get a feel for the match day atmosphere. Struggling to get to the next away game? Let us know someone always has a spare seat. Or if you have a spare seat let us know and help your fellow Imps. We look forward to your posts and if you have any questions queries or ideas please contact anyone of the admin team below. With Lincoln City looking to even the score with a win over rivals Grimsby Town on New Years Day, any Imps tempted to travel to Blundell Park could well be in for a goal-fest, as both the Mariners and Imps seek repairs at the heart of their respective, if not respected, defences. The ‘bad’ news sees Josh, howling if not fowling, Gowling serve a one match ban for his fifth yellow of the season. A careless challenge on Coulson, crowned a particularly fruitful 10 minute spell for our ‘concussed centre-back, having gone missing at sea for their first goal. Beardsley will deputise as Hone continues to ply his trade up north whilst Watts wanders South. The Mariners, meanwhile, are also shooting themselves in the Christmas chestnuts rather nicely. Centre-back Pearson will also miss the game on the naught step, after picking up his 5th yellow card amidst the hurly burly of the Sincil Tinsel. His partner L’Anson is unlikely to weigh anchor after limping from the fray on Boxing Day. But wait there is more, Will Antwi’s loan is up and ex Captain Kempson was sent packing by the benevolent Boston duo a week before Christmas. So, all go and it looks like a good old fashioned 2-3-5 affair up there then? The Luton V Kettering match on Boxing day, saw a crowd of 7,164, just 106 shy of the seasonal high, the visit of leaders Wrexham. With Wrexham and Stockport away the second highest crowd of the day witnessed Grimsby beat Lincoln in front of 5,506, with 1800 Mariners present. In all most sides saw seasonal highs on Boxing Day, nudging the BSP average gate to 1960, with the slight exception of Mansfield V York. However the 3,551 was just 500 short and a marked improvement on an alarming slump since 3,997 optimistic Stags welcomed Bath on opening day. Boxing Day and New Years Day in the BSP means a throwback to the days of yore, when local rivals contested festive double headers. 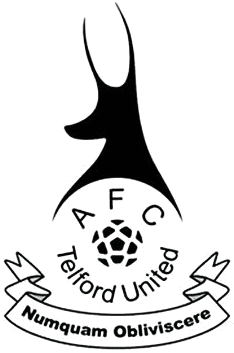 AFC Telford, though not strictly Wrexham’s neighbours will not be complaining, with 4.591 almost doubling their adjusted average gate. Cambridge tempted 3,700 for Braintree’s visit whilst Fleetwood broke the 3,000 barrier for a top of the table clash with local rivals Southport. Kidderminster against FGR saw 2,491, a little better than the North-East derby at Gateshead where Darlington enticed just 1,522. Barrow V Stockport attracted 2,103. Ebbsfleet made an impassioned plea to fans last week, although 1,176 against Hayes was just 200 up on the previous home game and just 100 above the average. Alfreton and Tamworth barely broke the thousand with 1,012, but spare some sympathy for Newport, the postponement of their game at home to Bath, cost them a much needed pay-day. That is something Hayes no longer even hold out any hope for. They will be lucky to break 300 on New Years day, indeed they have only broken 500 on 3 occasions this year – Luton 1015, Wrexham 625 and York 525.